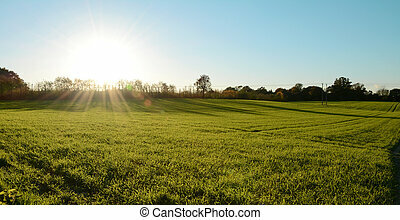 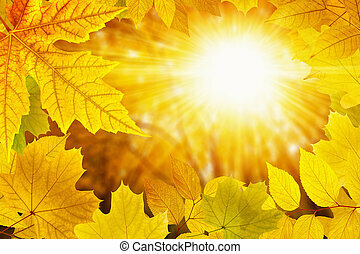 Fall sun. 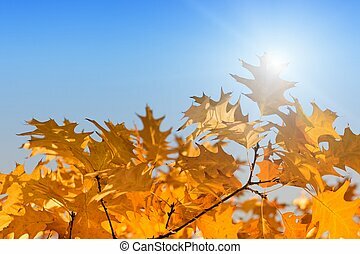 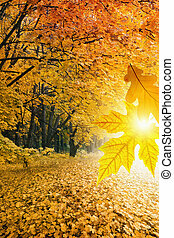 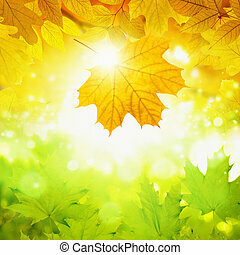 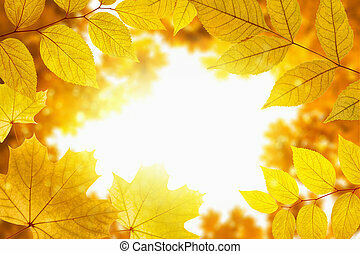 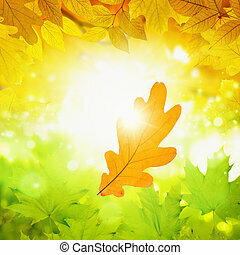 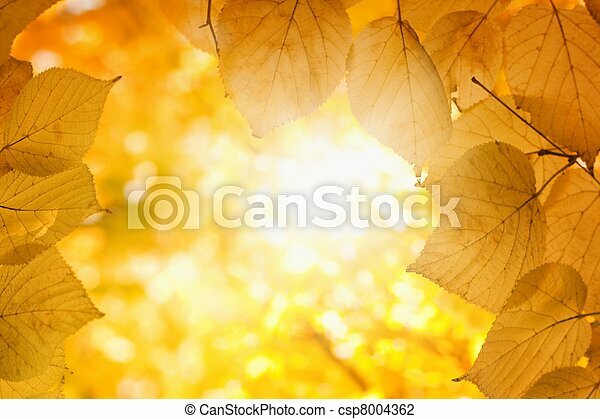 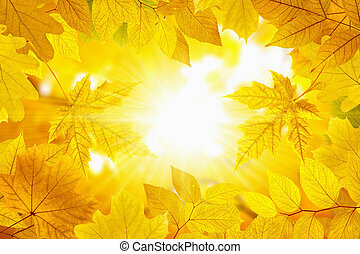 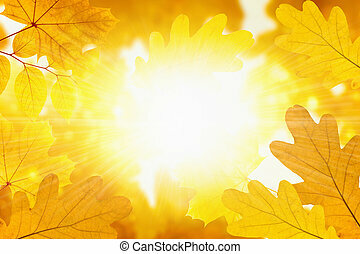 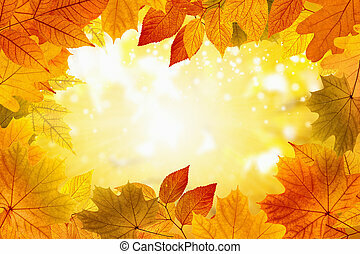 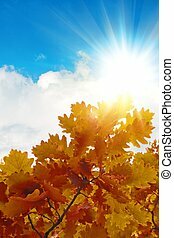 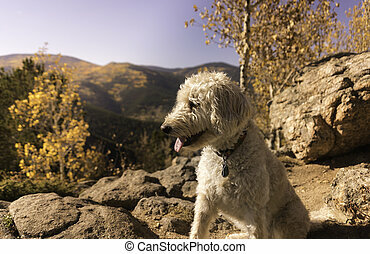 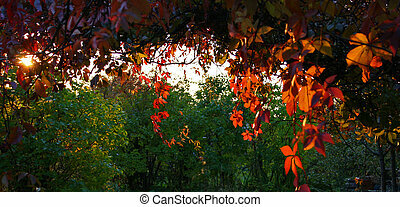 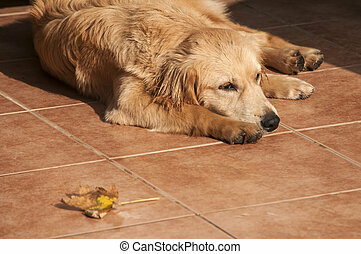 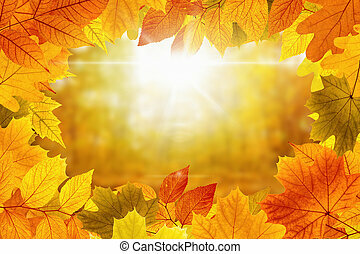 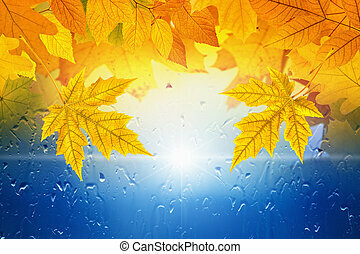 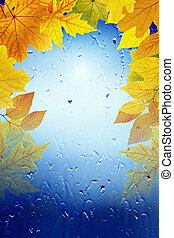 Fall background - orange leaves, bright sunlight. 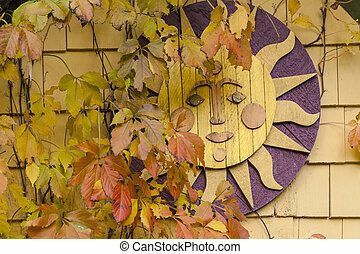 On the side of a building, an ornamental wooden sun shrouded in fall leaves. 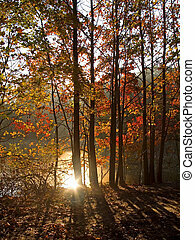 The sun reflects off a pond through Autumn trees. 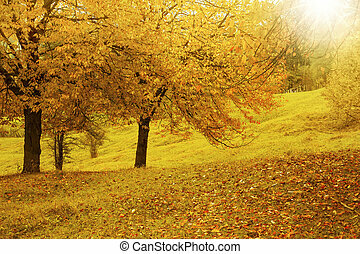 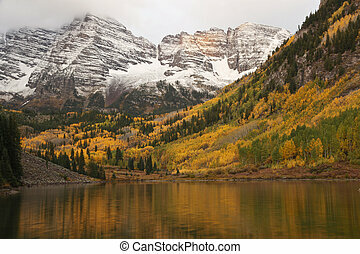 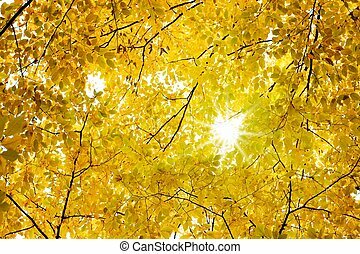 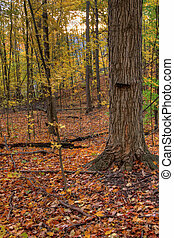 Forest with yellow leaves decorated in Autumn colors.